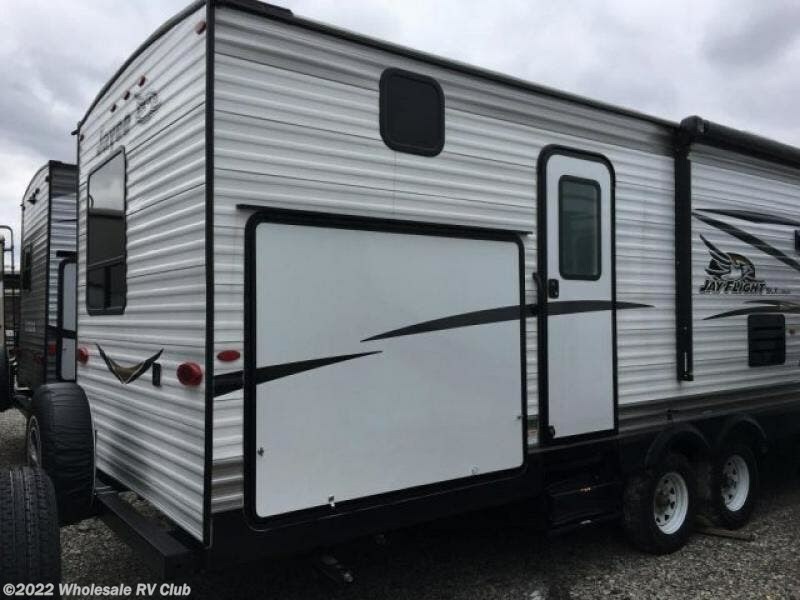 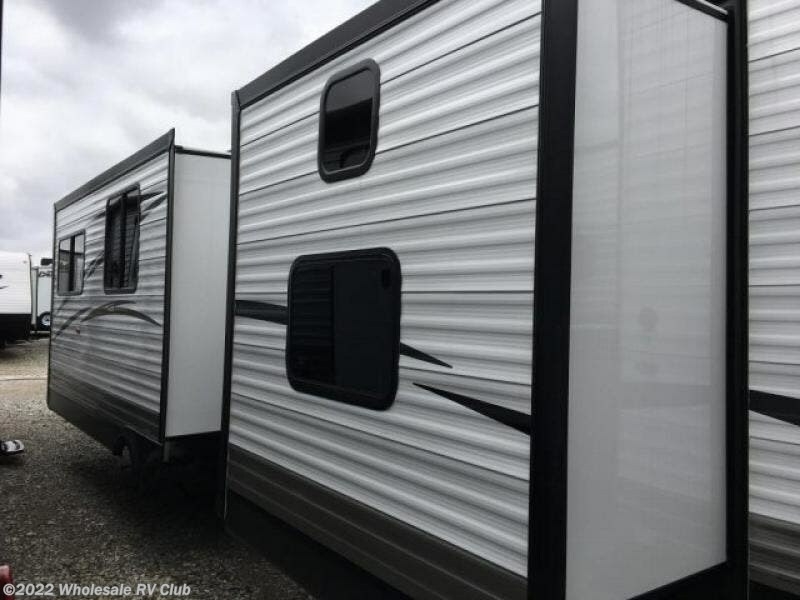 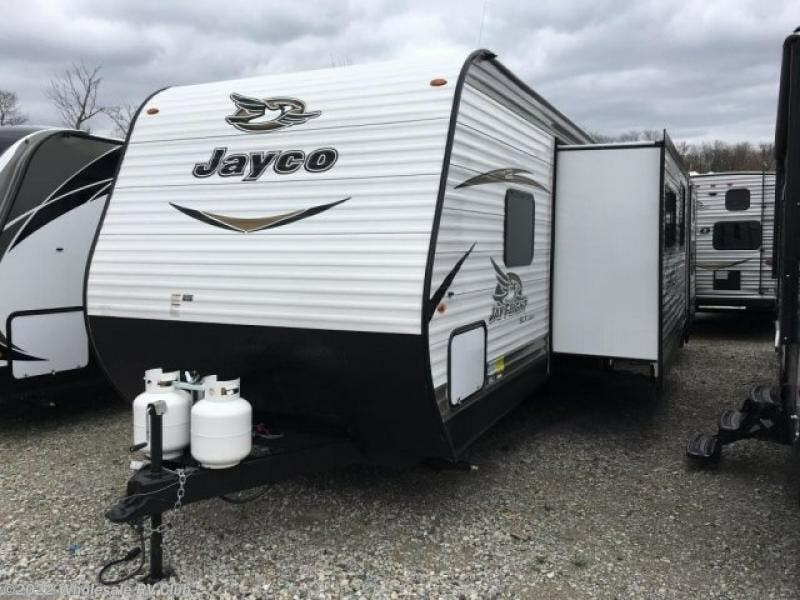 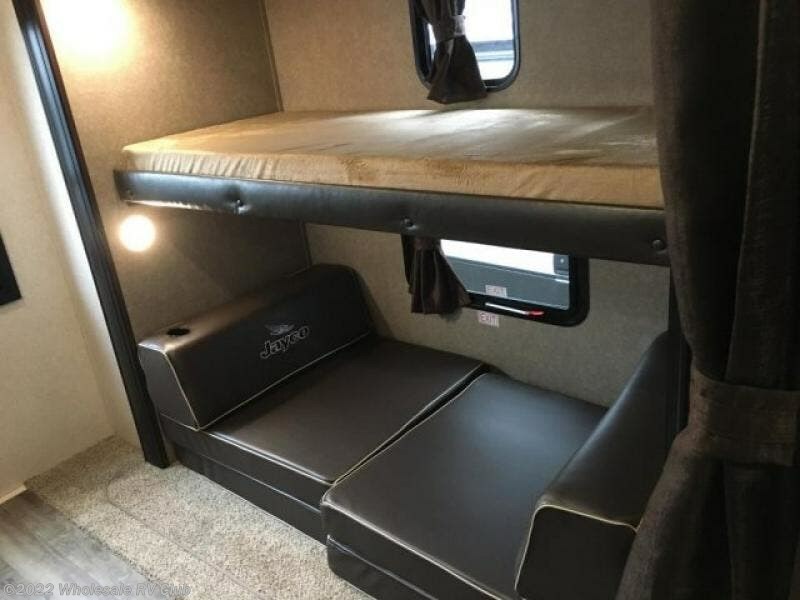 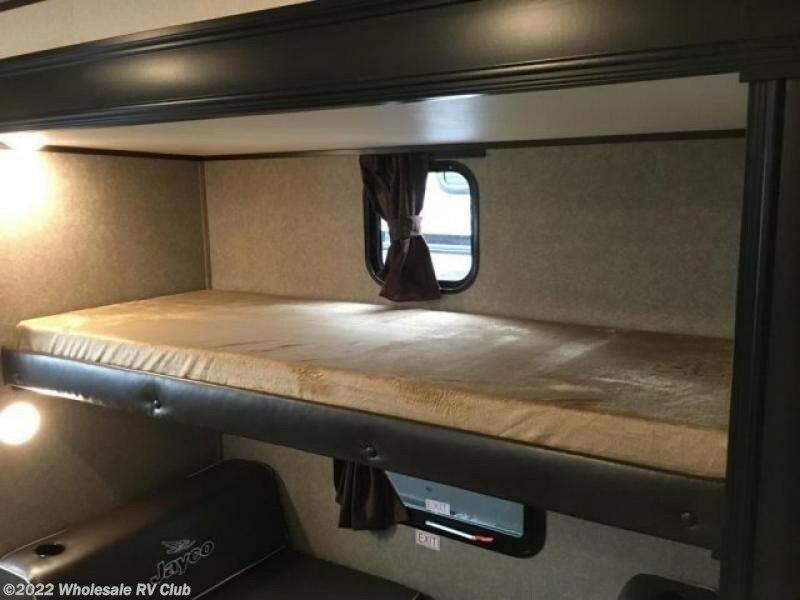 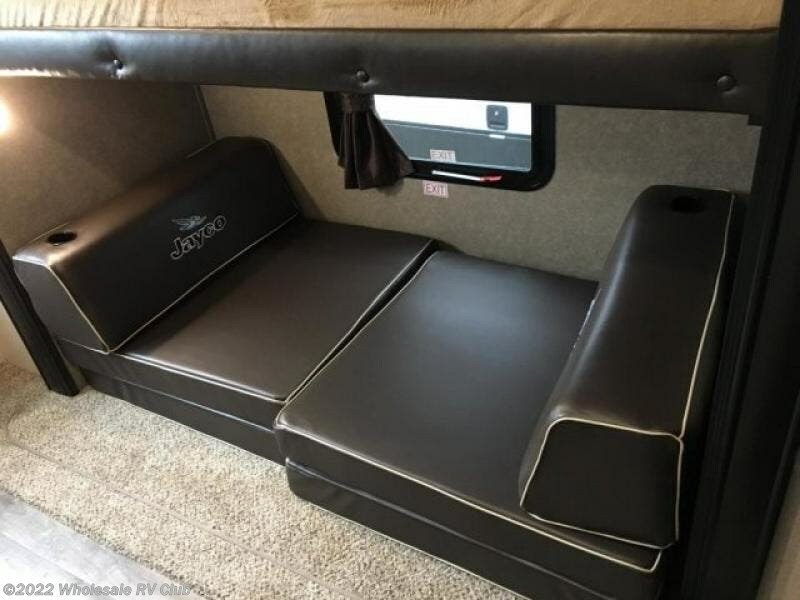 Pack up your gear and add a few friends to your next trip in this Jayco Jay Flight SLX 324BDS travel trailer featuring sleeping space for at least 9! 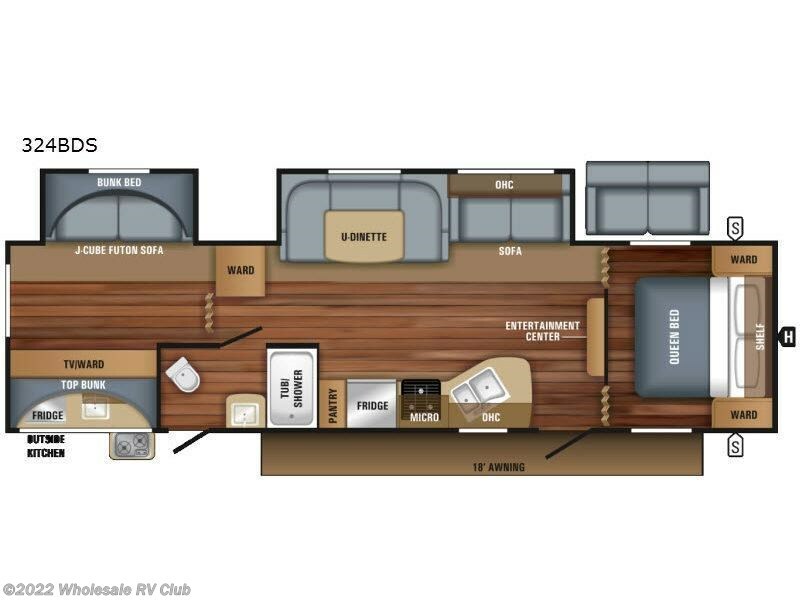 A few other features include a rear bunkhouse, dual slides, outside kitchen, two entry doors, plus more! 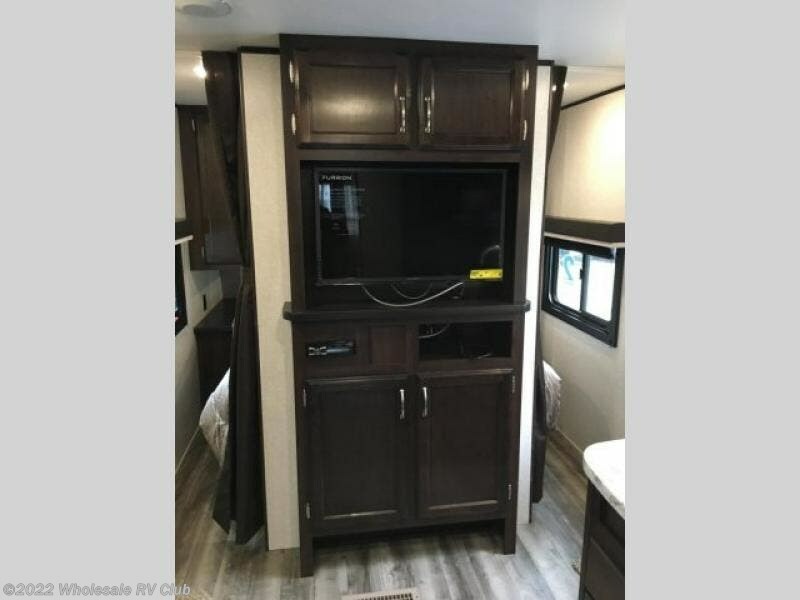 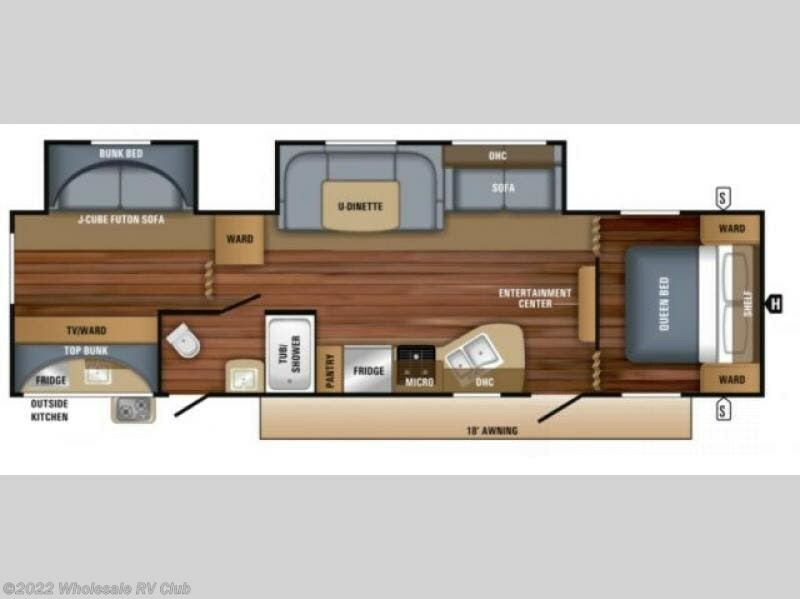 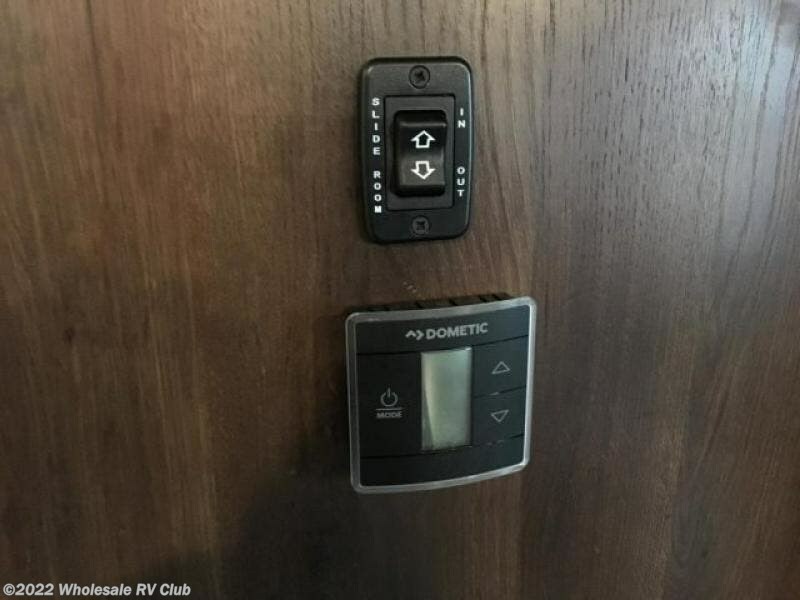 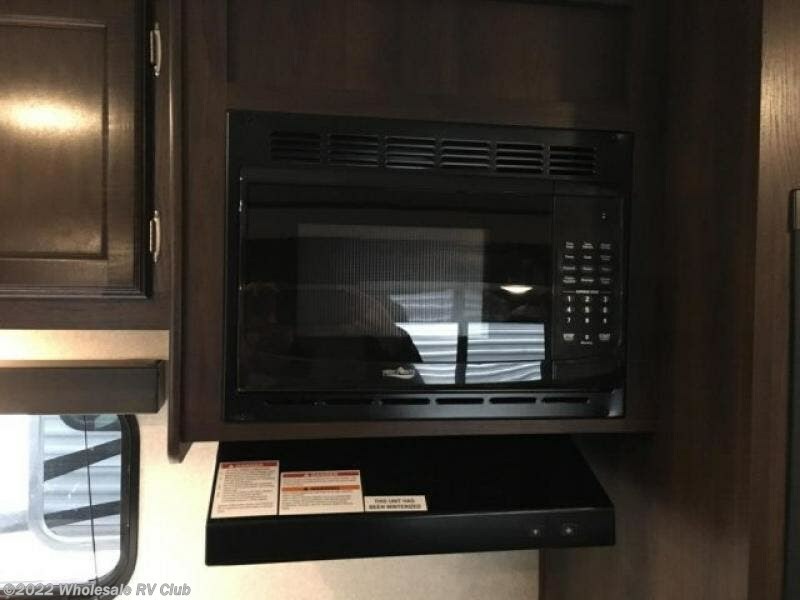 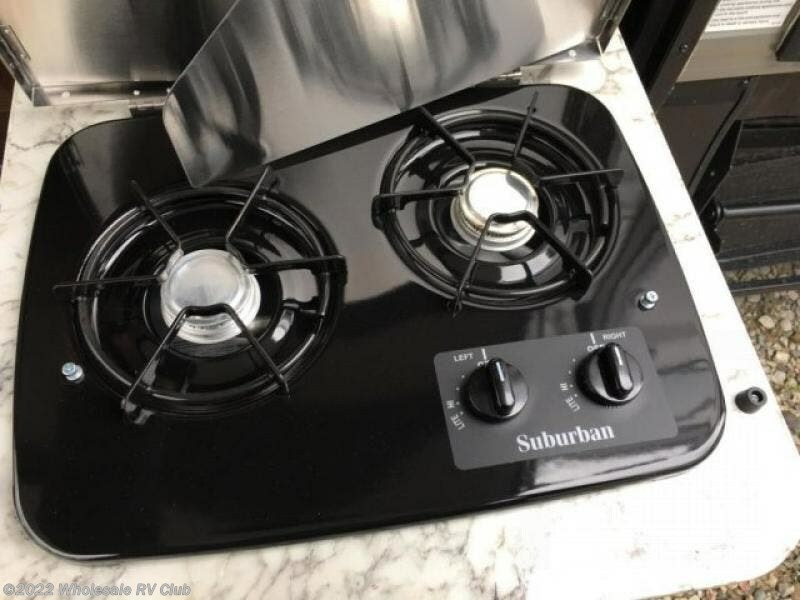 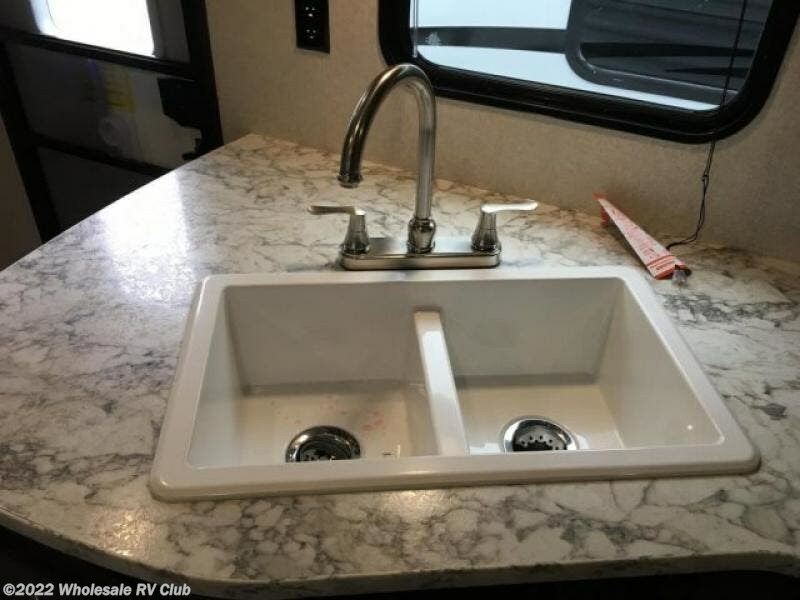 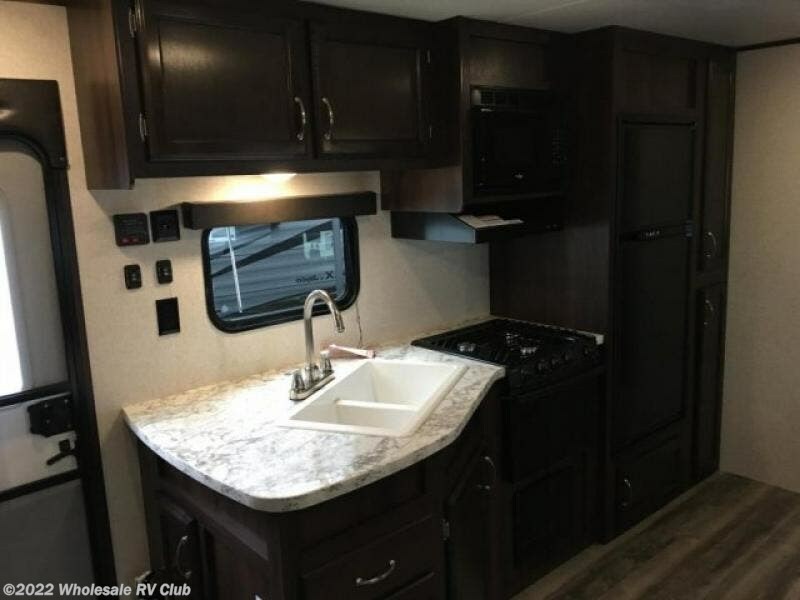 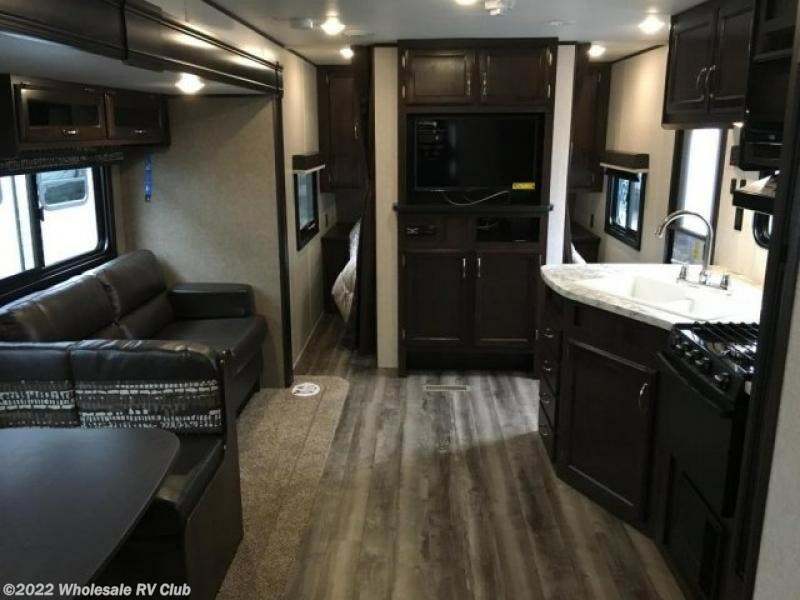 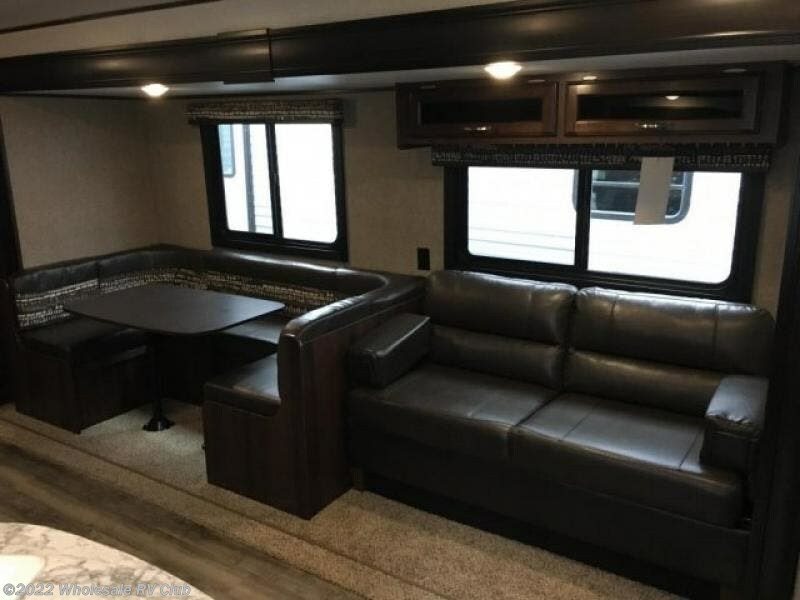 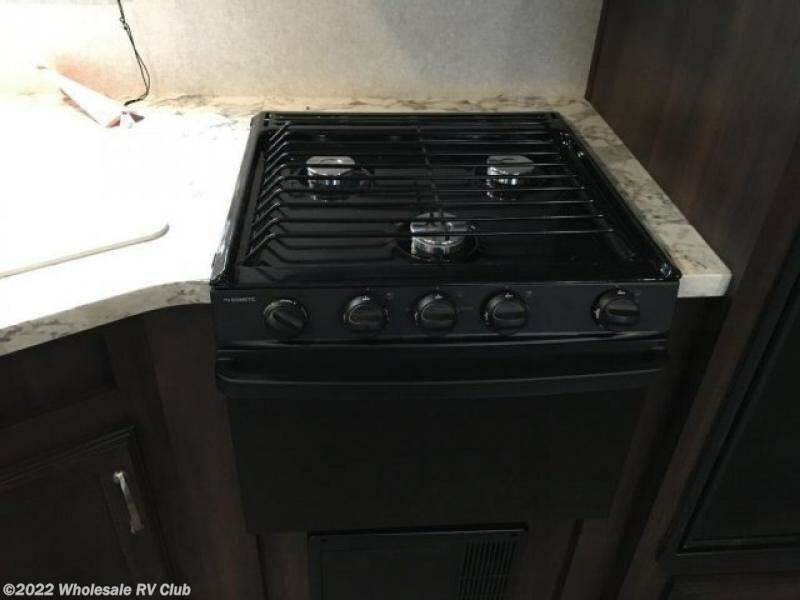 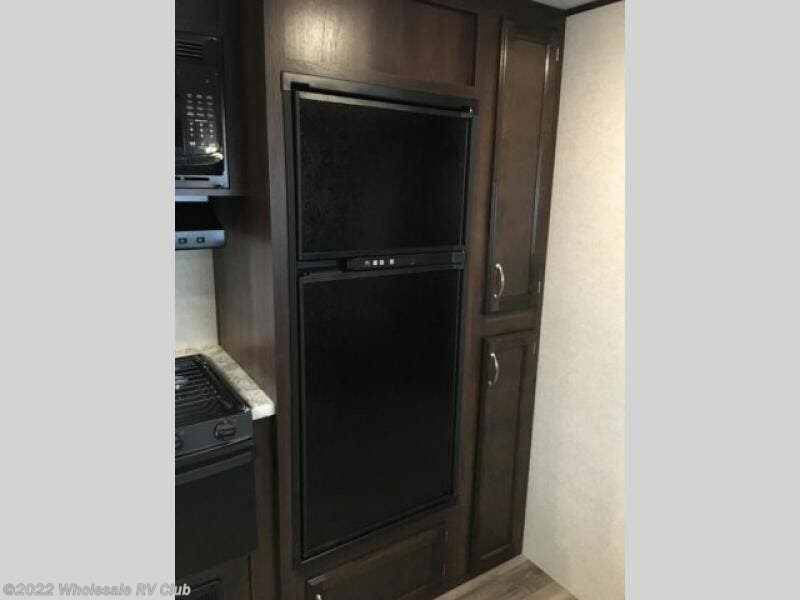 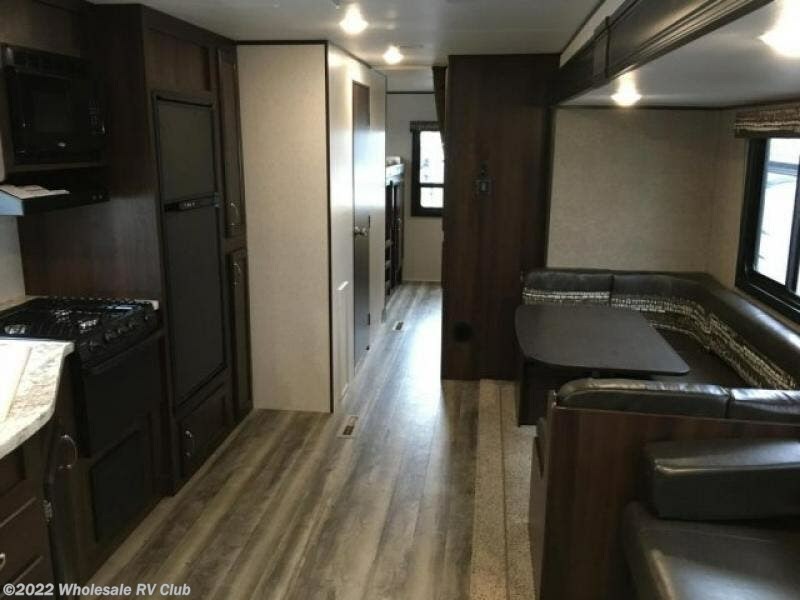 As you enter the travel trailer, to the left you will find an angled double kitchen sink, three burner range, microwave, refrigerator, and pantry. 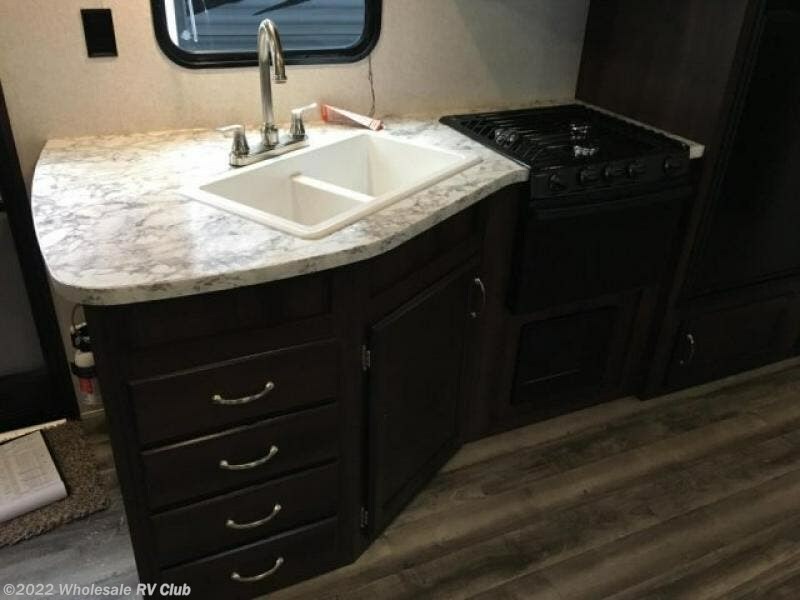 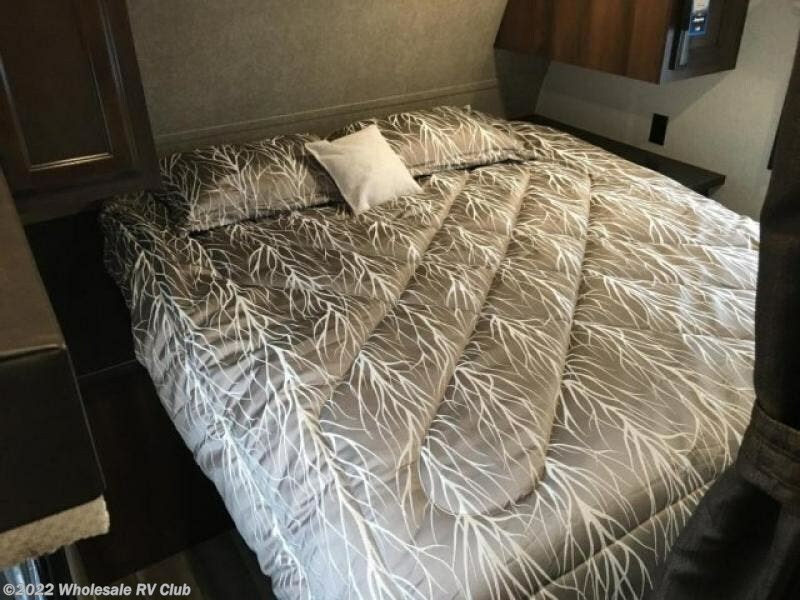 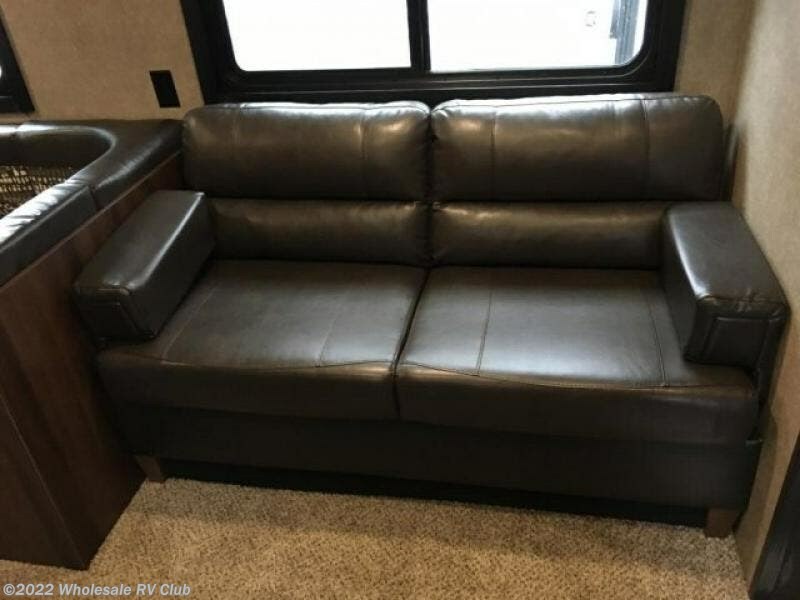 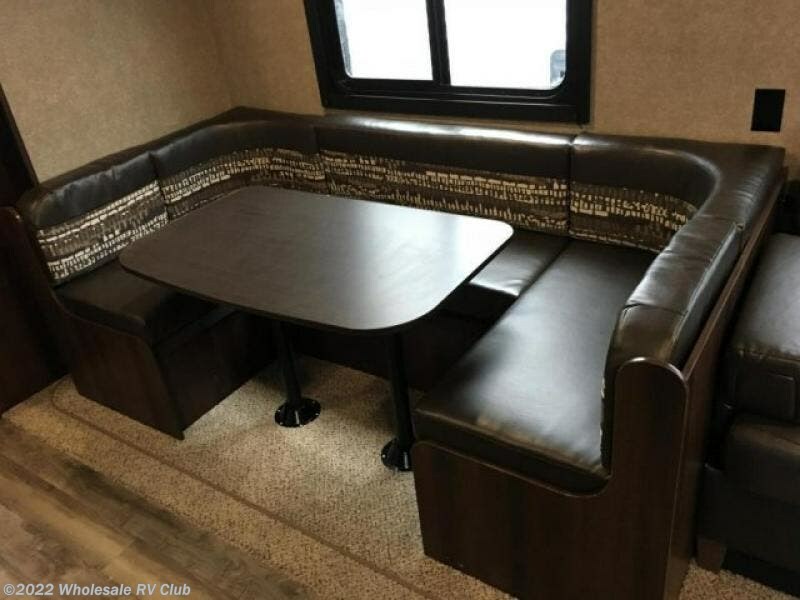 The opposite side of the trailer has a slide with a u-dinette, and sofa or an optional hide-a-bed sofa with overhead cabinets. 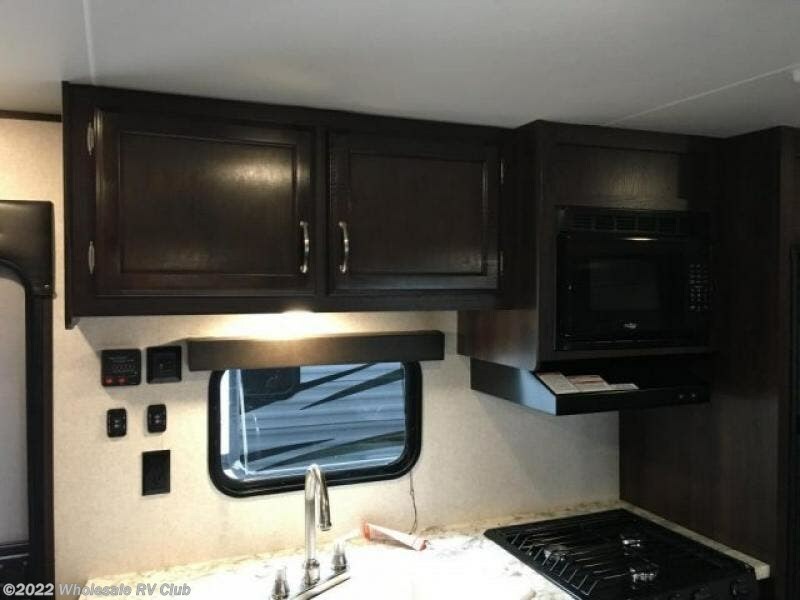 Along the center interior wall there is an entertainment center which can easily be viewed from anywhere in this combined kitchen/living area. 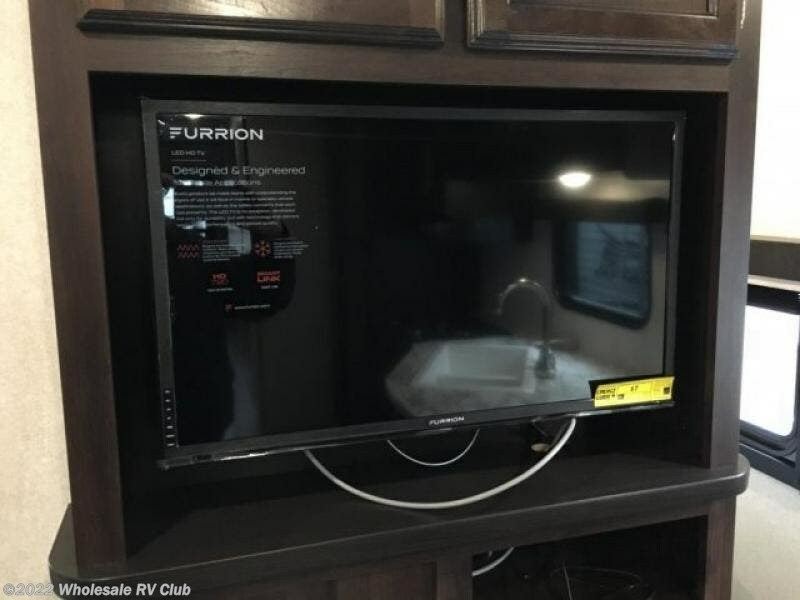 You may enter the front bedroom from either side of the entertainment center. 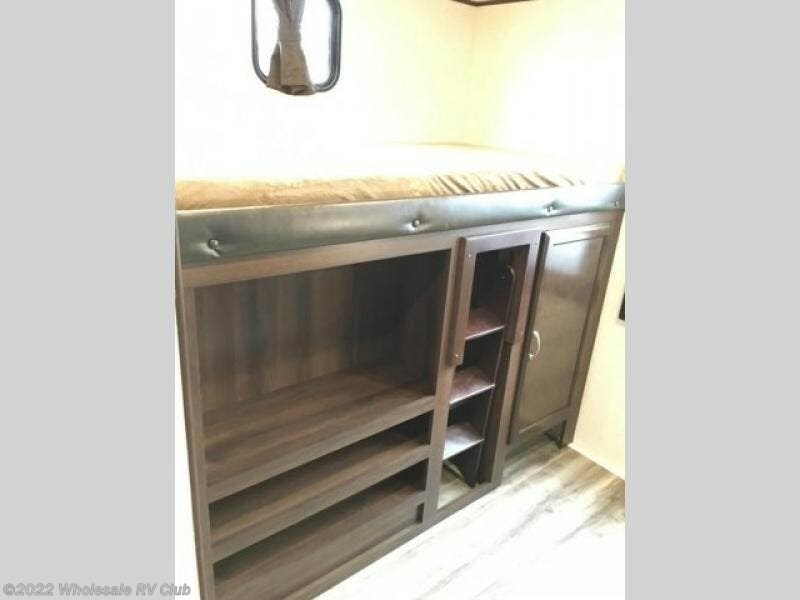 There is a queen bed with wardrobes on both sides, and a shelf above. 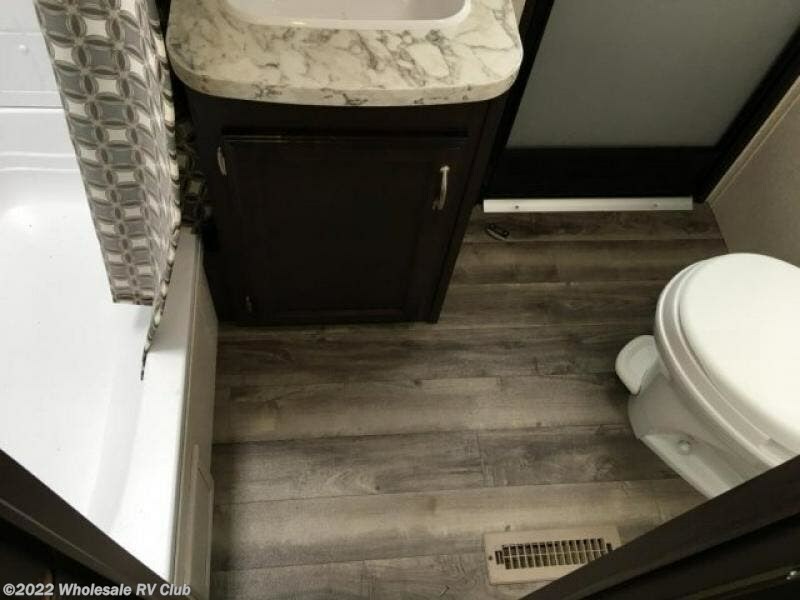 As you proceed toward the rear of the trailer, you will come to the bathroom on the left side. 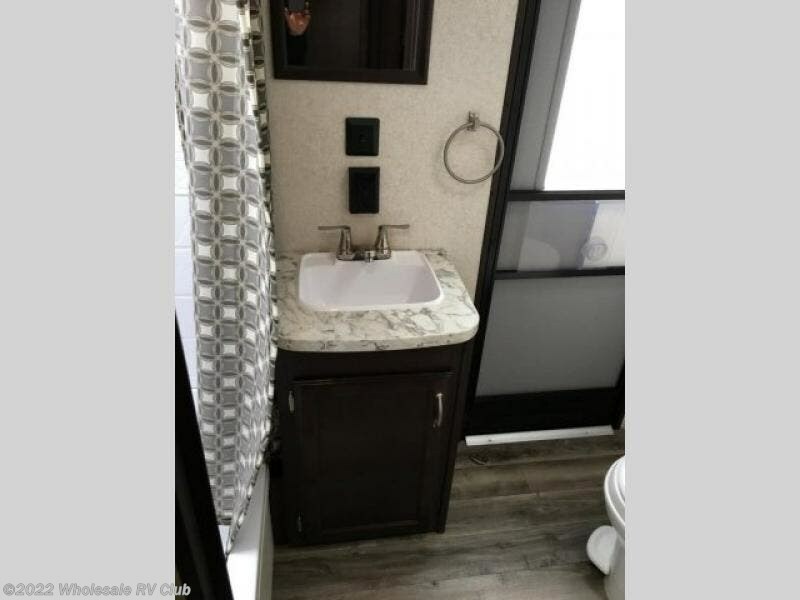 Inside the bathroom there is a sink, toilet, and tub/shower. 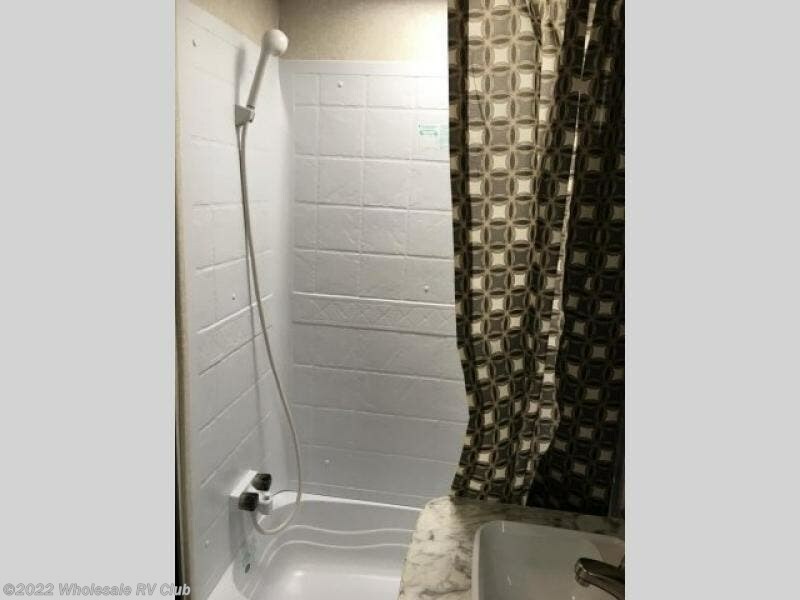 You will also see that there is a private entrance leading outside from the bathroom. 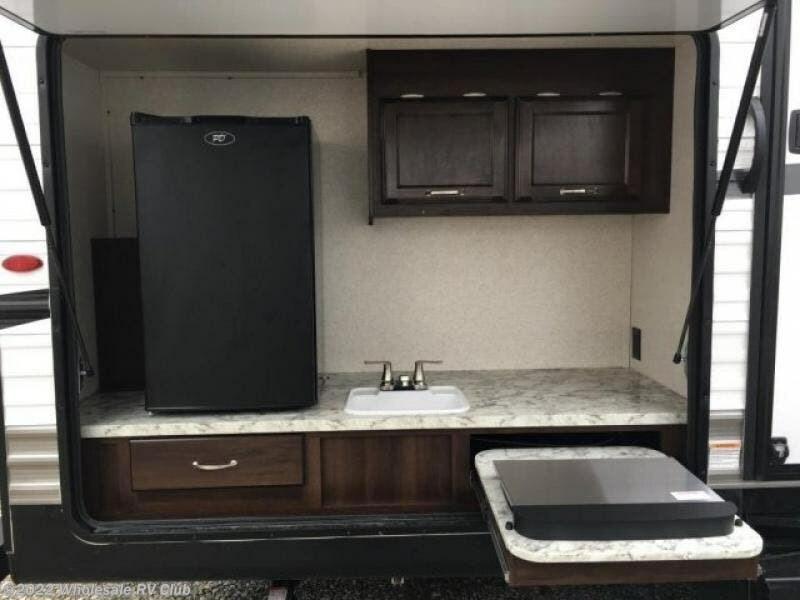 Across from the bathroom and just before the bunkhouse is a wardrobe. 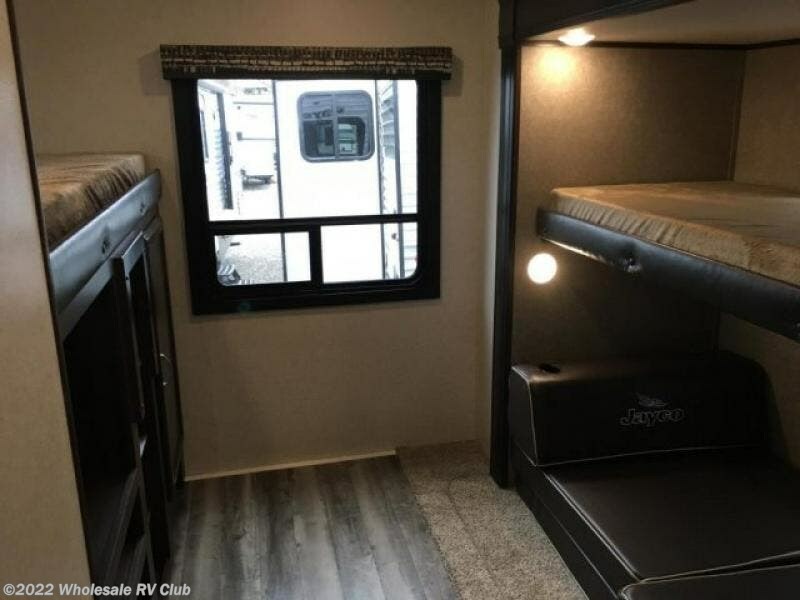 The rear bunkhouse provides privacy for your kiddos or your guests. 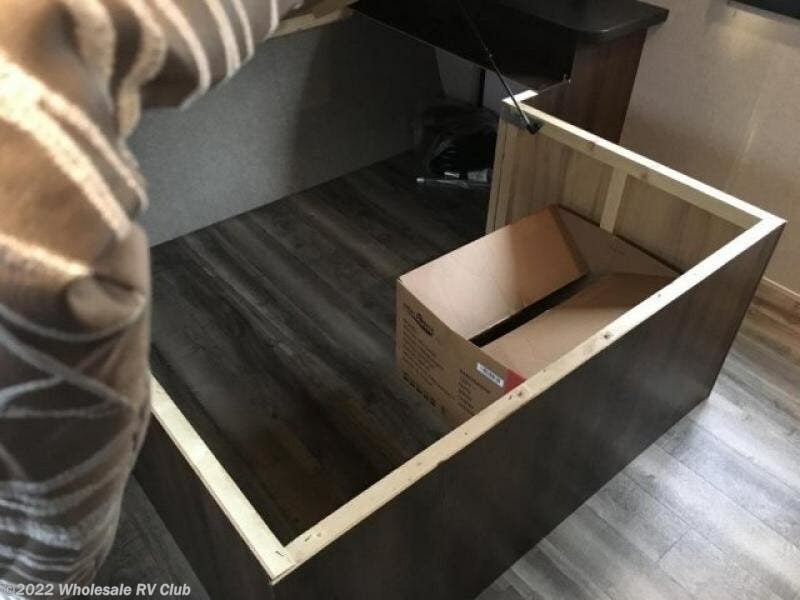 This room includes a slide out bunk bed above a J-cube futon sofa on one side, and a TV/wardrobe with bunk above on the other side. 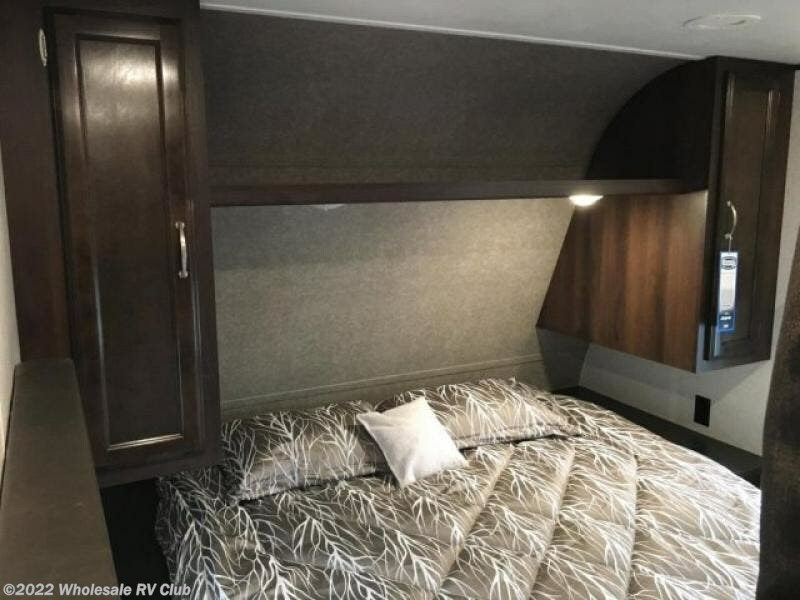 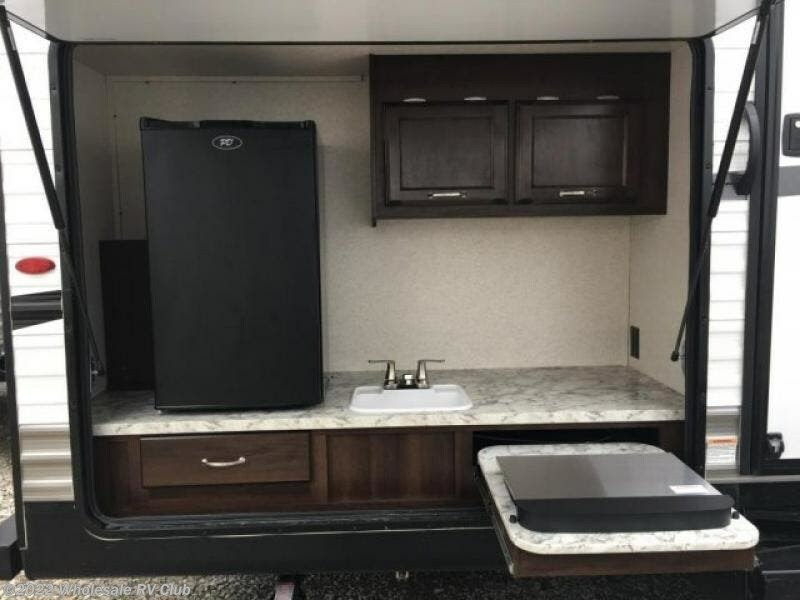 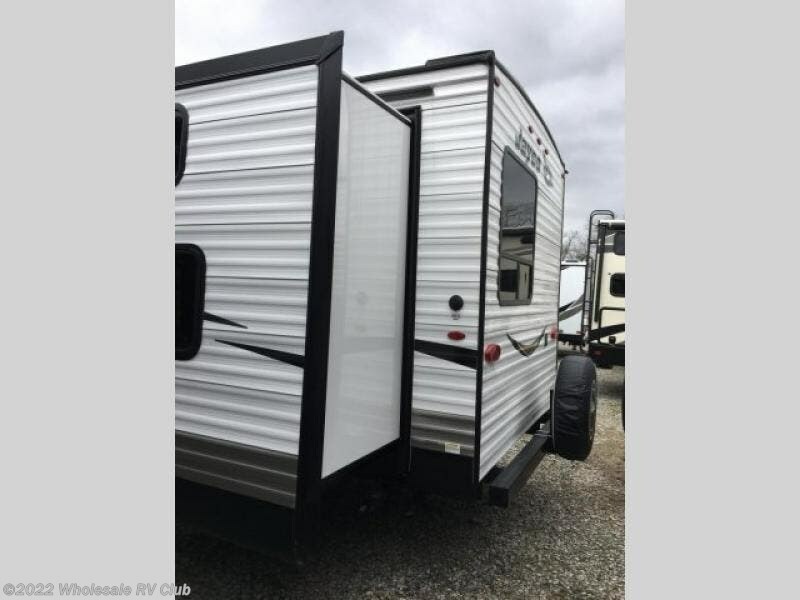 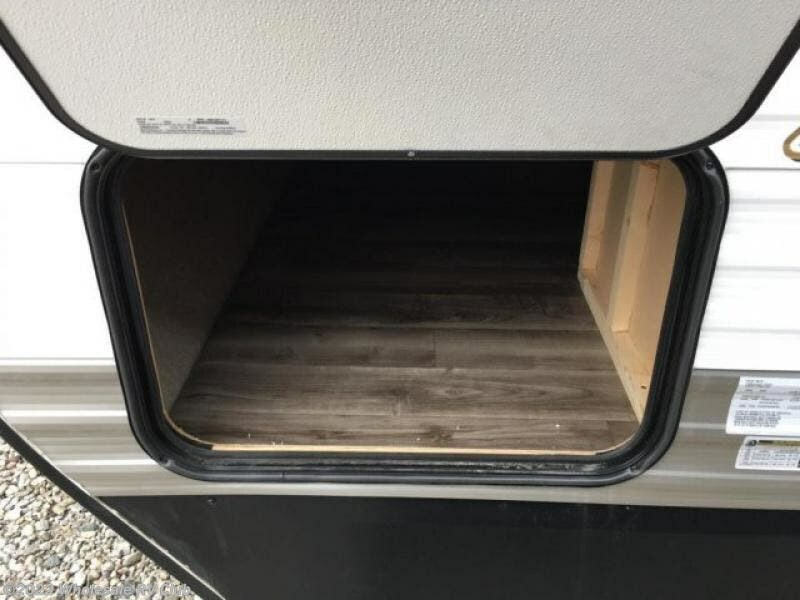 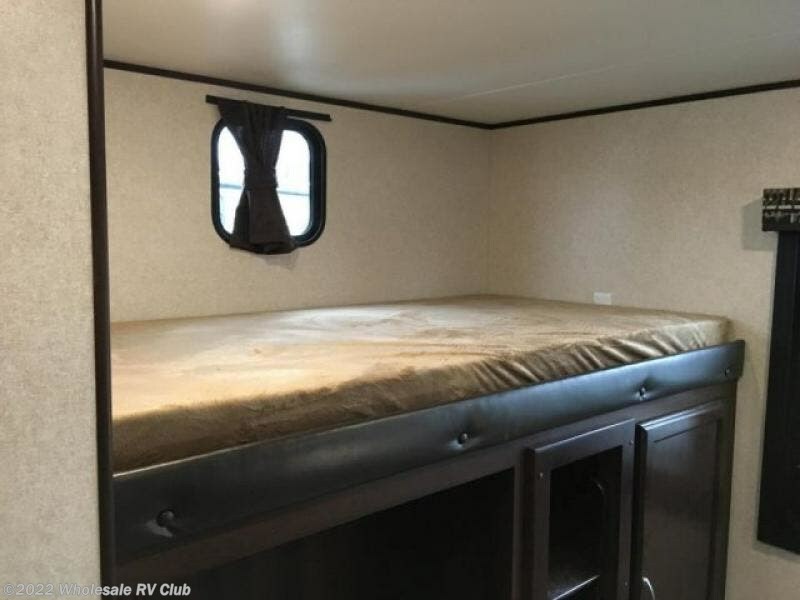 Heading outside you will find storage compartments to load your outdoor gear, a 18' awning for shade, and an outside kitchen including a pull-out two burner cooktop, sink, refrigerator, counter space, and cabinet, plus so much more! 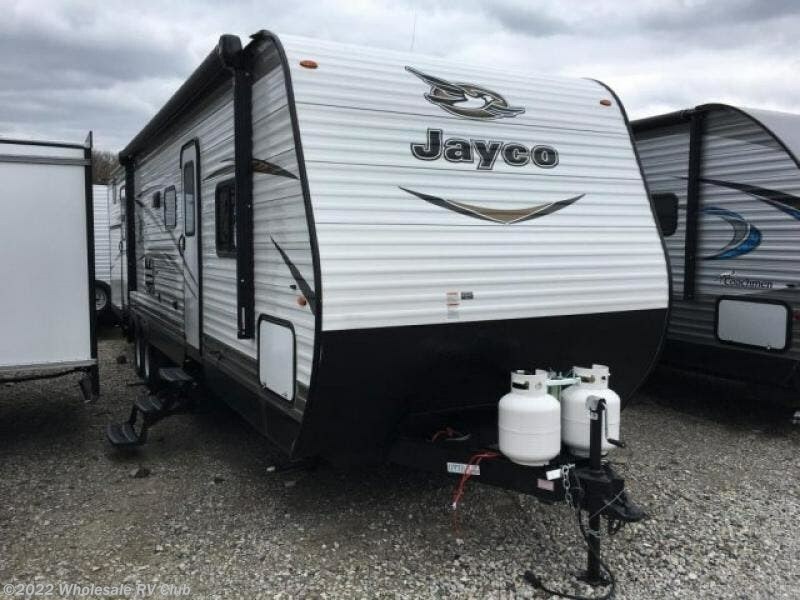 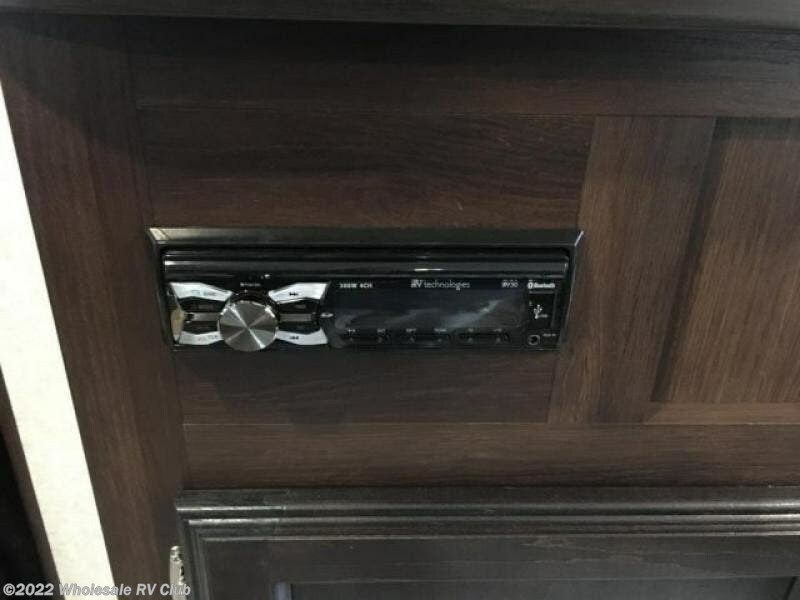 Check out Stock # 119712 - 2018 Jayco Jay Flight SLX 324BDS on jaycorvsource.com!